Alexander Arthur Van Halen was born to Jan and Eugenia van Halen in Amsterdam, The Netherlands on May 8, 1953. On February 22, 1962, the Van Halen family left Holland for California at the “request” of several relatives. Alex’s musical interest began with flamenco guitar lessons as a grade schooler. Brother Edward was working hard delivering papers to pay for his drum kit. As fate would have it, Alex began playing Ed’s kit and in return, Edward took over on Al’s guitar. Both brothers had also been trained as classical pianists. Both Ed and Al formed a number of bands, of which they were both included. These were The Broken Combs (w/ Alex on sax! ), The Trojan Rubber Company, Genesis, and The Space Brothers. 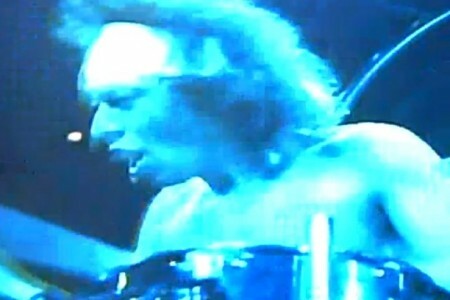 Alex’s influences included John Bonham, Ginger Baker, Buddy Rich and Keith Moon. In 1972, Mammoth–the earliest roots of what we know Van Halen to be today–was formed featuring Alex on drums, Edward on lead vocals and guitar and Mark Stone on bass. In 1974, Mammoth changed their name to Van Halen and Stone had been replaced by Michael Anthony and David Lee Roth became the new lead singer. Van Halen played the LA club circuit includingGazzari’s (the first club to give them a break), the Starwood, the Whisky a GoGo, and Walter Mitty’s Rock & Roll Emporium. Al often handled managerial duties and later was in charge of cover art on each album. Alex’s powerful and dynamic drumming style and voice are as unique and instantly recognizable as Edward’s guitar sound. The term “brown sound,” which is universally linked with Edward’s tone was actually coined by Alex and refers to the warmth of his own snare drum sound. But, don’t overlook the finesse and sensitivity. He plays what’s right for the song. Not to grandstand or just to draw attention to himself. 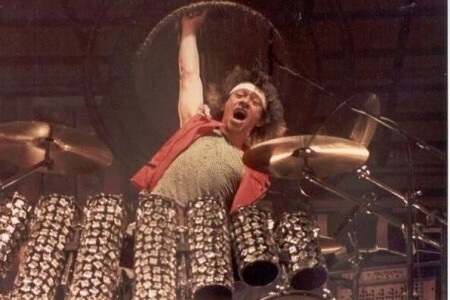 He will however, let loose live in his unaccompanied drum solo. In this instance you’ve got to expect the unexpected. 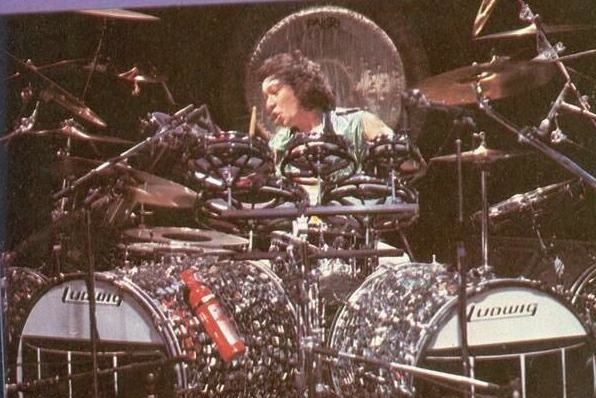 From lighting his kit on fire during theVan Halen II tour, to the Latinesque version of ” Outta Love Again,” complete with congas and horns on the III tour, you’re always in for a treat. The instrumental “Respect the Wind” from the Twister soundtrack features Alex on keyboard and is his first and only appearance on an album outside of Van Halen. Alex has a reputation as a practical joker. He’s been know to nail your shoes to the floor if they’re ever left unattended, and has put flame to old tires from time to time! Alex will be the first to tell you he’s not a rock star. He’s a musician. He’ll be making music until the day he dies, in one form or another.